As a restaurant operator and bar manager, it’s hard to decide whether you should stay on trend or aim to be unique in order to compete. We say try to differentiate yourself from the rest by doing something different. It could be a different recipe or developing a signature housemade mix, even incorporating a different utilization of a high-quality product can make a big difference. 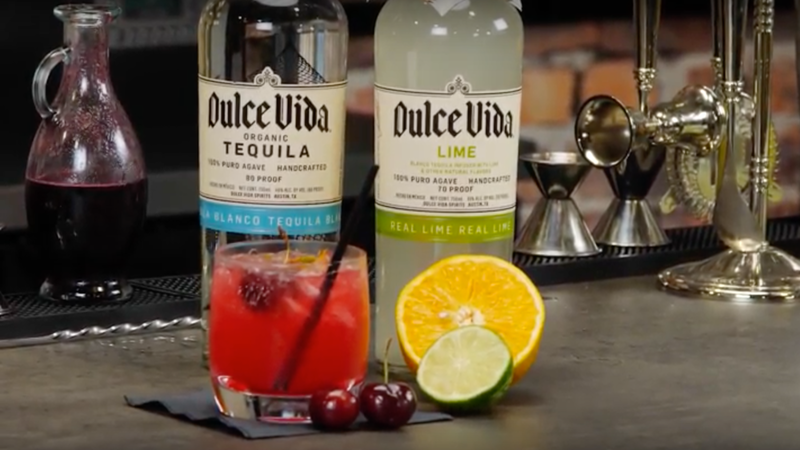 In this episode of Foodable’s Smart Kitchen and Bar our resident master mixologist, Oscar Castaneda, will demonstrate how to make two scalable cocktails to help your bar program stand out featuring Dulce Vida Spirits. “I want to keep breaking away from margaritas (even though this tequila makes a great ingredient for a skinny one), I had to make something worth talking about,” says Oscar Castaneda. "With a little play on words, we have taken Charros (Mexican mariachi members), and [the] seductive ingredient Cherry to name this delicious drink." The color of this cocktail will intrigue your guests and have them asking about My Name is Charry everytime they see someone drinking it. This next drink is not your typical Bloody Mary. The reason why is because instead of vodka we are using tequila and a housemade Bloody Mary mix. Oscar calls it Bloody Nonsense. This cocktail is garnished with a celery salt mix rim (celery seeds, Himalayan salt, pepper, chili powder) grape tomato, sweet gherkin pickles, olive, and a cocktail onion. Watch More Smart Kitchen and Bar Episodes!